Furthermore, prepaid maintenance follows wherever you travel. So if you require service while you’re on the road – or should you ever choose to relocate – your plan gets honored in full at any authorized, participating Mercedes-Benz Dealer. By opting for a prepaid maintenance plan when you purchase your Mercedes-Benz, you can build its cost into your monthly vehicle payment, or you can opt to pay the full cost upfront. You can purchase your plan any time before your first service visit or before 10,000 miles – whichever comes first. Mercedes-Benz Prepaid Maintenance is a smart, convenient way to ensure your vehicle’s maintenance needs are taken care of in a timely fashion. It covers required maintenance at your vehicle’s specified maintenance intervals. All maintenance services must be performed in consecutive order. Our Star Prepaid Maintenance plan offers 2 or 3 different service packages to choose from. It can be purchased for model year 2007 or newer vehicles with a total vehicle mileage ceiling of 80,000 accumulated miles. 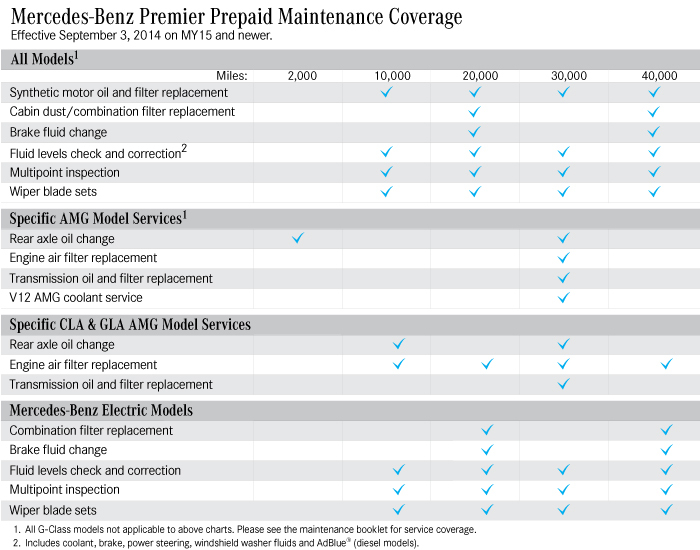 As goes with prepaid maintenance purchased on new vehicles, Mercedes-Benz offers various, flexible payment options. 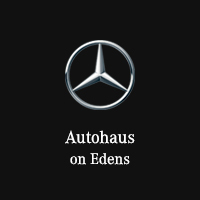 Contact Autohaus on Edens about program details and eligibility. 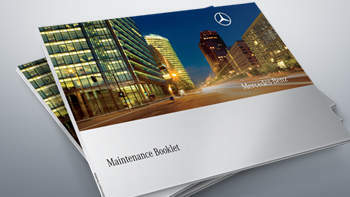 *Mercedes-Benz Prepaid Maintenance is available for all models except Maybach, SLR, and SLS. Additional maintenance may be required according to your driving habits, mileage driven, and local environment.